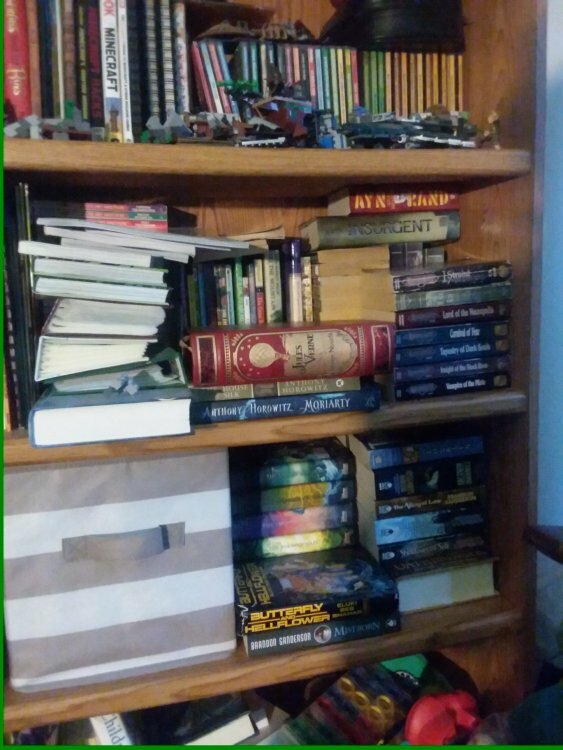 I have way too many books. Looks more like too few bookshelves. ^what Songstress said, looks like it's time for a trip to Ikea or the hardware store. Nothing a few cinder blocks and some boards can't fix. I actually just bought a big two sided shelf display thing from a closeout sale at a store because I have too many books to bookshelf ratio. I was planning on spray painting black and then the WoT logo in gold up top, but I don't know how it's going to come out...doesn't look great with just the spray paint t so far, but at least I'll have more shelving! Looks great! It really doesn't look like you have too many with a little organization. True. 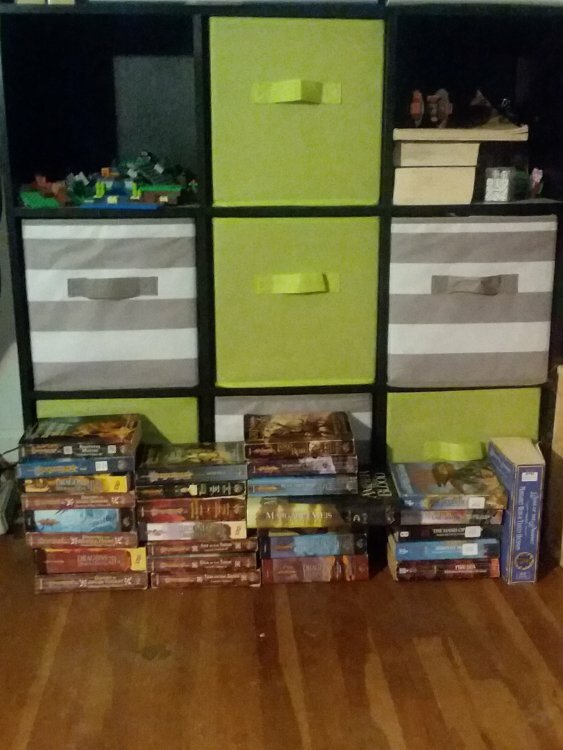 I just need some more boxes. It's only a problem when you have to move. Then you start regretting everything you have ever bought. All the books on the floor in the 2nd picture are from 1 author... I guess technically its 2 Since they're co-writers. Too many books?! BLASPHEMY! One can NEVER have too many books! Although, to Songstress's point... it was kind of a pain when I moved... 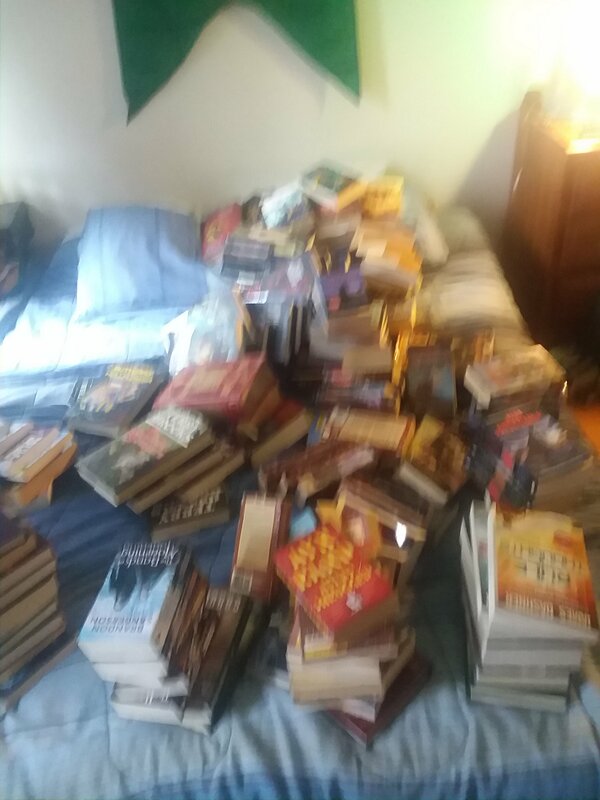 I had 33 big moving boxes full of books after I packed them all up. My buddies were less than pleased when we had to carry them all out of my library haha! And now... they are all sitting in boxes still, awaiting the renovation of the basement into the new library. I have been slackin' on the whole remodel. Partially due to the insurance company giving me grief about the fireplace I want to put in. Stupid insurance companies... DONT TELL ME WHAT I CAN'T DO IN MY OWN HOUSE! We were thinking about trying to finish half of our basement, but after we had a string of flooding in my town and had a bunch of water down there, I'm glad we didn't yet. If you ever think you have too many books, you can send me some. I sadly have too few books (moved cities and the city I live in most of the time is too isolated to have any kind of good delivery and the few bookstores here have really little apart from engineering books). 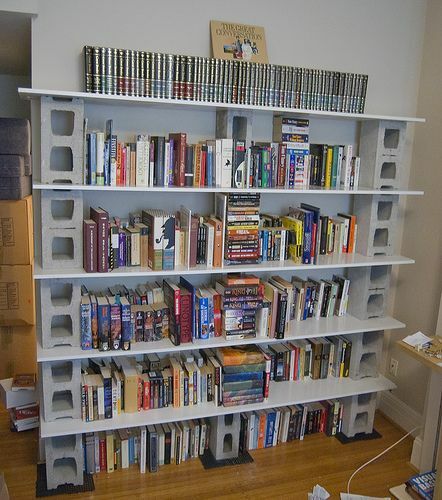 Good luck organizing your books. I look forward to getting to do that myself. Most of my books are currently in storage.